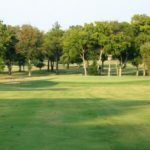 Our picturesque golf course features incredible tee to green play. 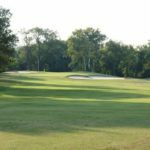 We take pride in the care and maintenance of our course and are confident that players of all ages and skill sets will enjoy the pace of play and course design. Members can warm up on our newly renovated practice area and stop into the pro shop for the latest equipment and apparel. 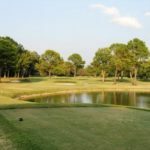 Our par 71 course offers the best elevated Mini Verde Bermuda grass greens in the area, beautiful water hazards among challenging bunker locations, Bermuda fairways and mature trees. 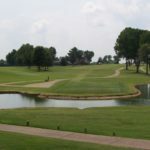 Situated along the Stones River, players young and old will enjoy their round each time they hit the course. We take pride in our fast rate of play and the camaraderie that is built within our membership. 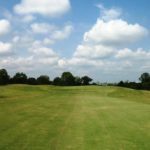 Whether you would like a regular game with old and new friends or to squeeze in a quick round, our golf course gives members an advantage that no other area clubs offer. 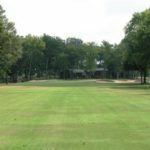 Our PGA Golf Professional Rob McGill, and assistant golf professional Sam Rhoten are onsite daily to help you work on your game on our driving range, or help fit you for new clubs and equipment. With over 20 years of experience as a PGA Golf Pro, Rob has helped members play their best, and lower their scores. 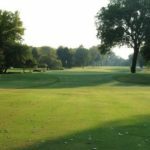 Our beautiful golf course is maintained by Course Superintendent Michael Brownlee and Assistant Superintendent McCellan Kirkpatrick. 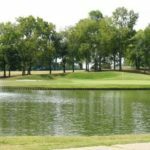 Michael and McCellan have maintained golf courses and turf for organizations such as the Nashville Sounds, Vanderbilt Legends Club, The Golf Club of Tennessee and other courses. 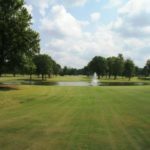 They hold degrees and certifications in Turf Management and Arbor Culture, ensuring the science behind course maintenance is top-tier. 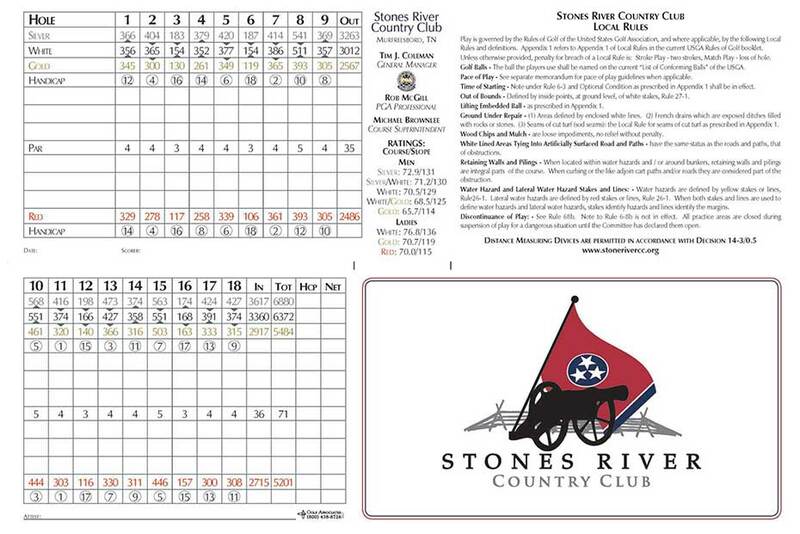 Stones River Country Club is a private course. 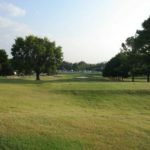 Tee times are not available to the general public. For membership opportunities, please visit our Membership page. This starting hole at Stones River can be tricky. Too much club off the tee may send you through the fairway and leave a difficult approach. 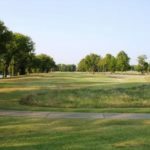 The tee shot should carry approximately 220 yards with a right to left ball flight. This will leave a short iron to a mid-size green. Be cautious of being long where it is hard to make par. This hole is one of the more difficult driving holes on the course. One should work the ball right to left with as much distance as possible. A solid tee ball will leave a mid to long iron into a very contoured green. Stay below the hole to have the best putt at the hole. This hole is the easiest par 3 at the River. The hole plays downhill with a mid iron to a very large putting surface. Be certain of club selection and do not over club because long is a certain bogey. This hole contains different options off the tee. The big hitters attempt to carry the trees down the left side which will leave a half wedge shot approach. 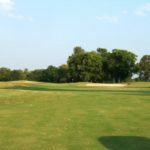 The safe play is a 5-iron from the tee down the right hand side leaving 150 yards to a well-bunkered multi-tiered green. The Stones River runs down the entire left side of this hole all the way to the green. A tee shot finding the right side of the fairway is ideal and will leave the best angle to approach the green. Be weary of the back left hole location. Shooting at this flag can make for a long day. From the tee players can not see the putting surface. This adds to the difficulty of this par three. Players must trust and play the yardage. Out of bounds comes into play for balls that find the left of this green. 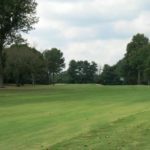 The seventh hole is one of the tightest holes at Stones River. Out of bounds guards the left hand side while trees protect the right hand side. A well-struck draw down the right hand side will leave a mid to long iron approach. Bunkers protect this mid-size green so par is a good score on this hole. The eighth hole is the only par 5 on the front nine. It can be inconspicuous if you let your focus stray. The ideal tee shot is a slight fade starting at the left edge of the fairway and falling right. Avoid the hazard right and you can be home in two. A favorable miss is to the left side of the undulated green. Although a back right pin location can be difficult, play smart and birdies are very possible. A fade or a draw will play well off the tee of this hole. 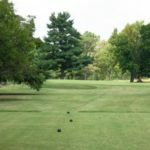 Be cautious that balls down the left side of the fairway will kick left into the rough. A good tee ball leaves a mid to short iron into a kidney shaped green. Two bunkers protect the green short right and and long left. Par is a good score but birdie is available when the flag is middle to front left. A three shot par 5 starts you on the back nine. Long hitters must lay up short of the lake leaving a tight second shot to an unprotected green. Not much trouble looms on the third shot from the fairway but the green is full of subtle breaks. The eleventh hole is a very challenging par 4. A narrow tee shot is made even more difficult with water hazards left and long through the fairway. 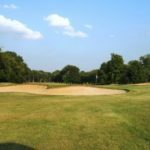 The approach shot must carry the lake and land on a well protected green with water lining the front and right, as well as an expansive bunker long. This par 3 requires accuracy and distance control due to a false front bunker and very deep bunkers left. A mid-iron will be used by most players on this hole. Play the hole a half club short because long is a certain bogey. This hole is the longest par 4 on the course. A long right to left tee shot is needed to leave a long iron into this green. Beware of the deep bunkers left of the green that yield very difficult recoveries. Play to the front right part of this green, get your par and you will hit first on 14. This relatively short par 4 is a good hole. Arguably, this is the tightest driving hole on the course. 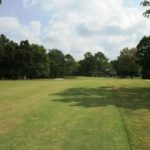 Find the fairway with a drawing 3 wood or long iron and par will be easier than chipping out of the trees on the right. Be cautious not to over cook the draw off the tee or you will find the Georgetown neighborhood out of bounds. The fifteenth hole is a true three shot hole. 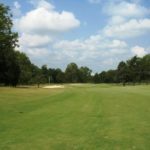 The tee shot must favor the right side of the fairway in order to have a decent angle towards the green on the second shot. With a good tee shot, the second shot is an easy lay up to the middle of the fairway. The green is much higher in the back and guarded by two bunkers in the front. A favorable approach shot is in front of the hole to leave an uphill putt. Our longest par 5 is followed by our longest par 3 from the white tees, second longest from the back tees. The green does not present much trouble for a long iron approach. The green is very acceptable to solid shots but be cautious of being long unless you like paying off. This long par 4 rewards a fade off the tee. Players will have a long to mid iron approach to a green that looks benign but do not miss left. Balls that find the middle left of this green will funnel off the green to a collection area. Par is a good score on 17. A good finishing hole, 18, is fairly tight and uphill the whole way. Favor the left side for the best access to the green. Getting on the correct level of this long, three-tiered green is a must. If successful you will be rewarded with a make-able birdie putt which makes the 19th hole more enjoyable. 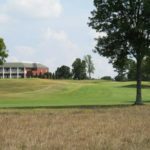 Stones River Country Club is the premier private country club in Murfreesboro, Tenn. Facilities include a tree-lined golf course, club house, restaurant and event facilities, hard court tennis courts and new fitness center.